London Underground Limited has a number of varying upgrade works that are part of a standard programme to keep stations and track maintained and up to date where required. 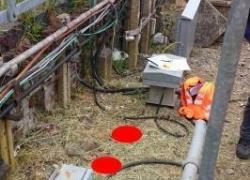 ASIL worked with Spoor-Tech to supply the Anchor Post and Cable Post solution that is currently being used as the cabling infrastructure of choice for the LU Cable Route Management System (CRMS) upgrades for Automatic Train Control (ATC), CAT4 replacements to failing concrete posts currently on the LU Network (SSL, BVC) and other trackside furniture foundation replacements. Spoor-Tech received the Anchor Posts products prior to site installation and carried out the retrofitting of the new Termination Boxes to the channel post off site. 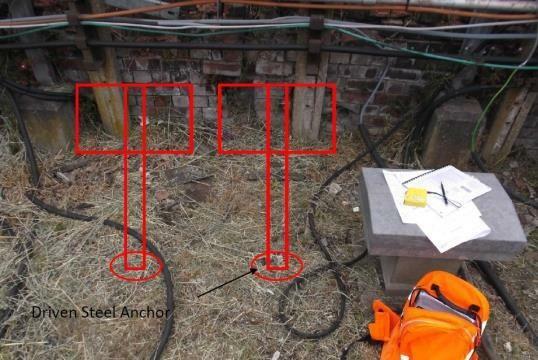 The Anchor Posts were fitted in Engineering hours due to the trackside location. There was no need for rail transports to be employed as the installation percussion drive equipment is easily portable and light weight. 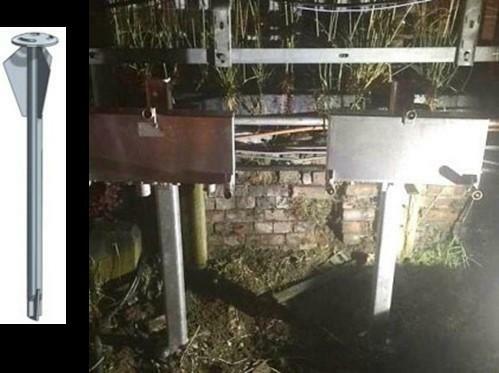 The channel posts were then installed without the use of any levelling shims as the Anchor Post solution has an inherent capability to allow a total of 14 degrees of angular adjustment for vertical alignment without the use of additional levelling products. 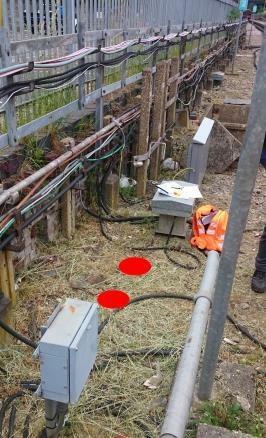 The Termination boxes were fitted in quick succession without the hindrance of additional operations due to pre-engineered solution being considered off site prior to site operations. 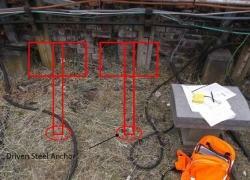 Further projects have now been allocated to use the Anchor Post solution for this application.